On Monday 12 February 2018, the Declaration of Disaster was extended for another forty eight hours (48). This extension was executed to enable the response agencies, sectors and Samoan-based development partners to undertake initial damage assessments at the community and sector levels, continue efforts to restore power and water throughout the affected areas, clearance of debris off the roads and removal of debris and mud. Overall, the restoration of affected lifeline services and clearance of debris are progressing well. There is access throughout the country and maintenance of roads, drainages and road reserves are well underway. Businesses have re-opened and resumed their operations as usual. All Government Schools and most faith-based and private schools are still closed to allow school management and committees to clean the facilities and compounds to ensure safety of staff and students. Air and sea transport have resumed their normal schedules. Mobile and fixed line communication restoration are still underway targeting increased restoration levels up 80% to 90% by end of the week. Initial damage assessment findings revealed that most of the affected families are on Upolu Island. Relief distribution of food and non-food items to confirmed affected families have started on Monday 12/2/2018 under the coordination of the National Emergency Operation Centre. The key priorities from Wednesday 14/2/2018 is the completion of restoration of power and water that are still without these services, clearance of debris and felled trees, and distribution of relief supplies to verified and confirmed affected households. The National Emergency Operation Centre (N.E.O.C.) continue its operation to coordinate initial damage assessments; provision of relief supplies to confirmed affected families, coordinate restoration of power and water supply services; removal and clearance of debris; communication with all response agencies, affected population, damage assessment teams, development partners, general public and other key stakeholders; and compilation and dissemination of reports to the Disaster Advisory Committee and the National Disaster Council. Personnel from Samoa-based development partners and humanitarian organisations have been seconded to the NEOC to support its functions and tasks including two personnel from U.N.D.P., A.D.R.A., S.R.C.S., Caritas, and S.P.R.E.P. The A.D.R.A. Evacuation Centre is now closed as families have returned to their homes. L.T.A. has activated all its contractors for road, drainage and road reserve contractors to clear debris and undertake maintenance. These contractors are also assisting the removal of debris and mud in flood affected areas in particular villages around the Vaisigano River. L.T.A. also deployed a contractor to clear the road at Tuialamu (Lalomanu, Aleipata) which was affected by a landslide that occurred on Monday afternoon (12/2/2018). The ferry service between Upolu and Savaii resumed on Monday 12/2/2018 as per its usual schedule. Air transport services have resumed their normal schedules. An update from Samoa Airport Authority indicated that there were damages to the fence along the northern part of the S.A.A. compound, temporary office/shop space used by tenants and elevator at the terminal. The Authority is putting in place extra measures to ensure security of the airport facility and compound and assets thereon. The temporary spaces previous used by tenants will most likely will not be reinstated as the new arrival terminal is due to open soon. The elevator is not yet functional but overall airport and air service have resumed. All radio and long range VHF radio communication are working off Mt. Fiamoe. E.P.C. has reported that the power supply has been restored to the following areas following the livening of the main lines (HV and LV) as well as transformers since it started its operation following the impact of T.C. Gita. Upolu: Falelatai to Falefa, inland areas of Falevao to Lalomauga, part of Saanapu to Falealili, town area, Cross Island Road to Siumu. Upolu: Part of Safata, Lefaga, Aleipata, Sauniatu, Fagaloa. E.P.C. has engaged five contractors to assist in reconnecting customers to the supply and two companies to carry out tree clearing to allow staff to fix damage power lines. The Corporation is targeting to restore electricity to all customers in Upolu and Savaii by Saturday 16/2/2018. The latest report S.W.A. reported that all water systems under SWA on Savaii Island have been restored except for Asau and Letui supply area due to damages to borehole pump and tank. The Authority is planning to restore water to these areas by Wednesday 14/2/2018. Water supply in urban area of Upolu have been restored however some areas are experiencing low water pressure. The rural areas of Upolu are still experiencing water issues due to power outage. These areas include part of Matatufu, small part of inland Vaovai, Tiavea-tai and Tiavea-uta, Samusu, Amaile, Saleaumua-uta, Lalomanu, inland residents of Saleapaga, Saleimoa, Fasitoo, Leulumoega, Mulifanua, Satuimalufilufi, and Leauvaa to Levi. For areas where water is not yet restored, SWA through its water carting contractors are carting water including some of the areas that are covered by Independent Water Schemes. MWCSD is currently undertaking an initial assessment of the condition and functionality of the all the independent water schemes and will include in the next report. Bluesky reported that 86% of its mobile sites (2G, 3G, & 4G) on Upolu are functional where 70% of these sites are working off back-up generators and batteries pending restoration of power. 100% of mobile sites on Savaii Island are functional and 90% of these sites are working off EPC power supply. 72% of fixed line nodes are operational including all nodes serving the business area with 40% of these sites are working off EPC power supply. The company has completed fibre repair works at Lepea and Lelata bridges. To fully restore telephone services to customers, the service teams are targeting clearing 25 requests per day. The key challenges in fully restoring mobile and landline services to customers include (1) availability stable power supply at communication sites from EPC power supply; inability to access sites located on mountain tops due to felled trees and this would require some assistance from the NEOC to clear felled trees blocking access; excessive efforts in monitoring fuel levels and refilling generators and recharging of batteries pending restoration of much needed power supply; and restoration of service lines will take at least two weeks to complete. The latest update from Digicel reported restoration of mobile system in Savaii is still underway. The restoration of this service is dependent on E.P.C. power supply at the mobile sites and requesting E.P.C. support to prioritize these areas. The company aims to restore up to 60% by end of the week. Twelve sites in Savaii are off air including four sites that require linking to improve performance, eight sites require main power supply to be connected due to generator issues at these sites, and 1 site with a felled tower and working with other provides on temporary relocation of site equipment. For Upolu Island, the company is targeting restoration of services up to 80% by the end of the week. Similar to Savaii issues, EPC power supply and support is urgently needed. One of the sites for the emergency radio network in Olomanu, Savaii was damaged. The E.R.N. team from D.M.O., F.E.S.A. and Police are undertaking remedial works to reconnect affected sites. In the meantime, communication via ERN is using other sites to link enabling communication amongst first responders. MWCSD in collaboration with the Ministry of Finance (MoF) with the assistance of an engineer, conducted an assessment of the Tooa Salamasina Hall which was severely affected by the cyclone. Damages to the building include damages to the roof of the part of the top floor facing TATTE Building. Water leaked throughout the building which have caused major damages to the walls, floor and the electrical wires and cables of the building. Due to the severity of these damages, the power could not be reconnected and coupled with poor building conditions, MWCSD staff were advised not commence work until it is safe to use the building again. The Ministry staff in Savaii are now working out of the Samoan fale due to unsafe and poor office facilities conditions pre and post TC Gita. In light of these damages, MWCSD is in urgent need of office space to operate as soon as possible and resources to renovate and rebuild To’oa Salamasina Hall. The TATTE Samoa conference centre was severely damaged from TC Gita. The water entered the entire building from drainage making its way from the roof top down to the main conference room on the second floor. The main conference area was about 15 – 20cm (ankle high) with water and due to continuous rainfall water still prolongs. Water seeped through the walls from the building as well as from the ceiling through the condition vents. On the ground floor, the water entered the ground floor including the dining area and its surrounding. The whole ceiling around the outside area is damaged from the water and after 2 days of the cyclone impact, water was still dripping from the ceiling. There are visible holes on the ceiling as well as other damaged due to heavy rainfall. The power supply remains off. A thorough inspection is underway to assess the safety of the building and its integrity. Overall, building was damaged from water causing a large part of the ceiling to almost drop. Electrical wires are completely wet and many conference centre facilities were damaged from the rain. One of the buildings on the MNRE compound at Mulinuu has sustain damages to the roof. This building is occupied by the Disaster Risk Reduction Section of the DMO and the Ozone Unit of the Meteorology Division. A rapid assessment of the Museum indicated that water leaks through the ceiling of the building. Samoa Land Corporation (SLC) reported that the flea-market resumed its normal business on Wednesday 14/2/2018 after clearing of debris and cleaning of the mud. One of the tents and 25 shop counters were badly damaged. Restoration of this tent and rebuilding of counters is awaiting insurance claims to cover the cost of restoration. Prioritisation of vendors to use the flea-market is to give priority to vendors with less arrears to use the flea-market to sell their goods. SLC is meeting all the vendors on Wednesday 14/2/2018 to reconfirm flea-market recovery plan and a report will be provided to the NEOC after this meeting. The Samoa Tourism Authority closed its call centre on Monday 12/2/2018. The initial damage assessment for all tourist accommodations on both Upolu and Savaii have been completed. Overall, the tourism industry in Upolu only sustained minimal damage, except for Sheraton Aggie Grey’s Hotel which was severely affected by flooding. A thorough assessment of the impact on this property could not be conducted as the property is closed off and guarded by security. The main needs of the industry on Upolu Island is the restoration of services such as water, electricity and telephone lines and clearance of debris. On the island of Savaii, Tailua Beach Fale, Tanu Beach Fale, Vaimoana and Vaisala Hotel have sustain some damages to the structures of their facilities. The needs of the industry in Savaii include the restoration of electricity, water and telephone lines and clearance of debris. All guests are safe as confirmed by all properties and there were no reported injuries. - Minimal damages to Giant Clams have been reported. Agriculture and Fisheries sectors remain in a sustainable status in terms of providing food and income for households that are dependent on agriculture as a source of livelihood despite the impact of TC Gita. Food supply is not foreseen to be an issue as the root crops such as yams, manioka and umala will sustain food supply market for domestic use ensuring food security in the next few months. 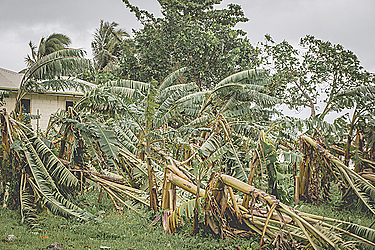 An immediate concern is considerable damage to banana and breadfruit trees which would require the Ministry and the sector to work in close collaboration to facilitate for long recovery actions. Out of the 111 schools visited on Upolu, all have no running water and are not connected to electricity. All have wet classrooms and muddy compounds, some compounds have dangling power lines and others are totally inaccessible such as Uafato and Sauano Primary Schools or the roads are not safe to access these schools such as those in Luatuanuu Primary School. 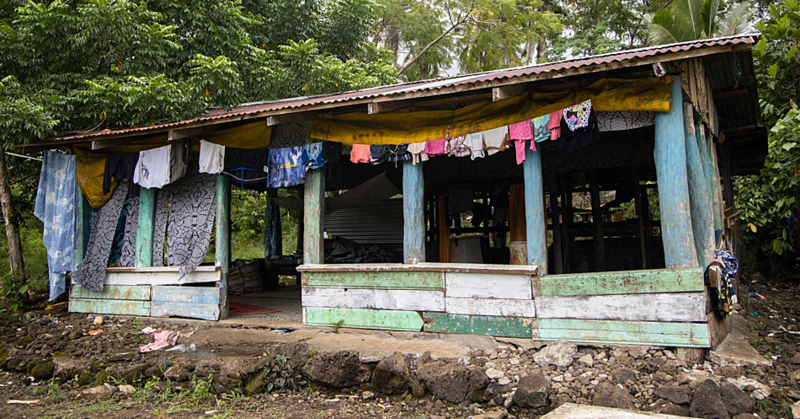 Schools in Savaii are structurally safe however similar issues of wet and muddy classrooms and compounds with unsafe and unhygienic conditions due to mud and debris. Majority of schools in Savaii have water and power now. All Government schools are still closed until Monday 19 February 2018. Some private and faith-based schools are still closed except for a few which have resumed classes this week. This decision is in line with the recommendation by the Ministry of Health to close the schools until next week to allow the classrooms and other schools facilities to be sanitized and well-ventilated. Ministry of Health undertook an initial rapid inspection and damage assessment of the TTM Hospital, three (3) Rural District Hospitals (RDHs) and three (3) Community Health Centres (CHCs) on the same day; following Cyclone Gita on February 10, 2018. A similar exercise was undertaken for rural district hospitals (Foailalo, Sataua, and Safotu) on Savaii Island. More detailed assessments are planned as soon as practical for the whole Health Sector. Evidence from the assessment highlights that the vast majority of wind damage was caused to invasive tree species, especially Albizzia species (Tamaligi or Silk Tree), Spathodea campanulata (African tulip or Tulipe). This is particularly problematic in riparian sites where this organic waste creates blockage and exacerbates flood risk. This creates potential for increase of risks to communities and infrastructure. Ecosystems downstream are also at risk should organic debris at identified priority areas above not be addressed. It is therefore recommended that on-going efforts are required to replace invasive species with more cyclone resilient native species, with the immediate focus on riparian areas on key streams and rivers. The banking sector is functional with IT services being restored to facilitate financial and banking transactions. The Initial Damage Assessment (IDA) teams regrouped on Monday following the meeting of the Disaster Advisory Committee and National Disaster Council. These teams comprised of representatives from Ministry of Natural Resources and Environment (MNRE), Ministry of Women, Community and Social Development (MWCSD), Samoa Red Cross Society (SRCS), Adventist Development and Relief Agency (ADRA), United Nations Development Programme (UNDP), Caritas Samoa, Samoa Bureau of Statistics (SBS), and the Secretariat of the Pacific Regional Environment Programm (SPREP). On Upolu Island a total of 43 households have been assessed by the IDA teams, which covered 248 people (125 M, 123 F) who were affected by Tropical Cyclone Gita. All results are representative of the assessed group of people only. The IDA recorded data from the most affected areas, which in Upolu were the following: Aana Alofi (Faleasiu, Nofoalii, Satuimaluflufi), Aiga-i-le-Tai (Mulifanua), Aleipata Itupa I Lalo (Saleaaumua, Samusu, Tiavea), Falealili (Sapoe, Satalo, Siuniu), Faleata East (Vaimoso), Falelatai & Samatau (Matautu, Samatau), Lefaga & Faleseela (Safaatoa-uta), Lepa (Saleapaga), Safata (Tafitoala, Vaiee), Sagaga La Falefa (Tufulele, Saleimoa), Sagaga Le Usoga (Afega), Vaa-o-Fonoti (Uafato), and Vaimauga West (Faatoialemanu). Based on the IDA, the cyclone impact has not resulted in any serious harm to people, with only 3 minor injuries reported in Upolu. No major injuries, no missing people and no deaths were reported. The relative majority (17 main household houses, 3 second houses and 2 third houses) of the houses assessed in Upolu were reported completely damaged beyond repair. 14 houses sustained major but reparable damage and will therefore require assistance to mend. 19 houses sustained minor damage or no damage. The majority (21 HH) of the assessed households in Upolu had access to safe water from either own or communal source. 11 have access to unsafe water but 8 households have absolutely no access to water and are therefore in need of assistance. The relative majority (17) of the assessed households in Upolu have flush toilets with water, whilst 6 households still lack water supply to use their flush toilets. 14 have access to either a pour flush toilet or a pit toilet. 3 households have no toilets at all, which would be important to prioritise during response. 10 of the assessed households in Upolu have continued access to power but most of the assessed households (28) are still cut off from the power grid and have no other means of generating electricity. 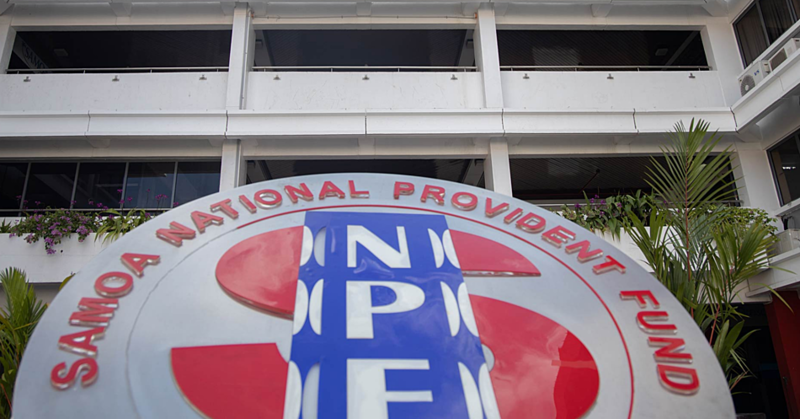 This particular need, however, is expected to be resolved without intervention as EPC’s top priority is the restoration of power across Samoa. There are 5 households that lacked power even before the cyclone. 16 of the assessed households in Upolu have cooking facilities that sustained some damage and/or loss of kitchenware and utensils due to the cyclone impact. 13 have operational cooking facilities, whilst a large portion (11 households) have no cooking facilities and are therefore in need of assistance. Due to time constraints the collection of IDA data from Savaii were not finalised before the submission deadline of this report. The assessment teams reported the following preliminary key findings from Savaii. This assessment was carried out at the household level to identify damages for post disaster recovery response. MWCSD coordinated the assistance of Sui o Nuu and Sui Tamaitai o Nuu, Sui ole Malo (Village Representatives) to lead their own initial community assessment to respond to the immediate needs of their own communities. Initial Damage Assessment for communities led by the Ministry of Women using the survey form developed by the SBS. The assessment team assessed a total of 20 households and identified as affected families from the villages of Salelavalu, Vaiafai, Salimu, Mauga, Safai, Falealupo and Sasina. A total of 44 male and 71 female from these 20 households including 3 persons with disabilities, and 2 infants. Damages to houses assessed include damages to Samoan fales and open European houses. In Manono, only 1 family was affected while none was found in Apolima. Through the NEOC since the 9th February 2018 until 10am on 14th February the NEOC has received a total of 33 requests for disaster relief assistance. Up until 10am on the 14th February 17 houses have been assessed, 3 were uncontactable and 13 are awaiting assessment. The final deployment for the houses to be assessed is being sent out at 11am. Of the requests that were received one has been completed: one family in Aleisa received drinking water. Drinking water was requested by 10 families due to lack of clean water, 6 families requested food to relieve shortages, 23 requested tarpaulins due to roof collapses or damage to housing. Flooding caused one request for mats and one request for mosquito nets. 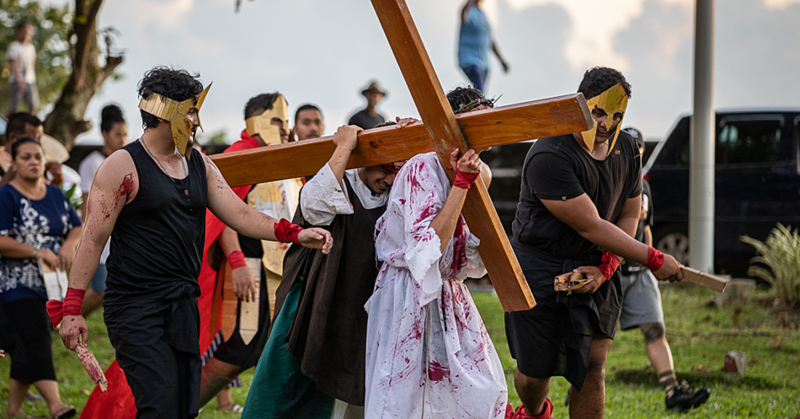 These families come from 23 villages around Upolu: Olataga, Magiagi, Vaitele, Faleapuna, Mulivai Safata, Salesatele, Falealili, Mulivai Safata, Togafuafua, Nu’ufou, Faleasiu (Moamoa,) Vaisigano, Saleufi, Lufilufi, Matautu/ Faleapuna, Faatoia, Palauuli, Faatoia, Tufuiopa, Saleufi, Safaatoa, Lelata and Aleisa. Of the request that have been confirmed and verified according to this date we have 7 confirmed for water, 5 confirmed for tarpaulins, one for food, one for mats and one for a mosquito net. The coordinated relief assistance is being conducted through ADRA, Red Cross, UNICEF and NEOC. NEOC and Red Cross have coordinated assessment teams. Once the assessments have been completed confirmed will be received regarding the organisations who will supply relief items. As of 10am 14th February Disaster Relief Fund will provide drinking water and UNICEF will supply Tarpaulins. To date, the estimated cost of response and relief is $26,948.89 Samoan Tala. This figures covers the cost of food relief, food supply for assessment and field teams, fuel, and transportation. The NEOC, SRCS, ADRA and Caritas have prepositioned relief supplies of non-food items (including UNICEF prepositions supplies) such as tarpaulins, tents, blankets, kitchen sets, jerry cans/collapsible water bottles, buckets, hygiene kits, shelter toolkits, clothes and health sector containers. A total of six x 10000 litres water tanks are available for communal use if required. Rotary Club of Apia offered support to the NEOC to assist IDPs currently accommodated at the SDA/ADRA compound and any on stand-by to provide assistance to other affected families. Offer of support was also received from the UN Agencies and the Government of New Zealand through the New Zealand High Commission. Refer to Annex 1 for Details. 4.1 Lift the Declaration of Disaster once it expires on Wednesday 14/2/2108 however allow the operations and the NEOC to continue its operation to carry out the key priorities listed below. 4.4 Distribution of relief supplies to verified and confirmed families only.